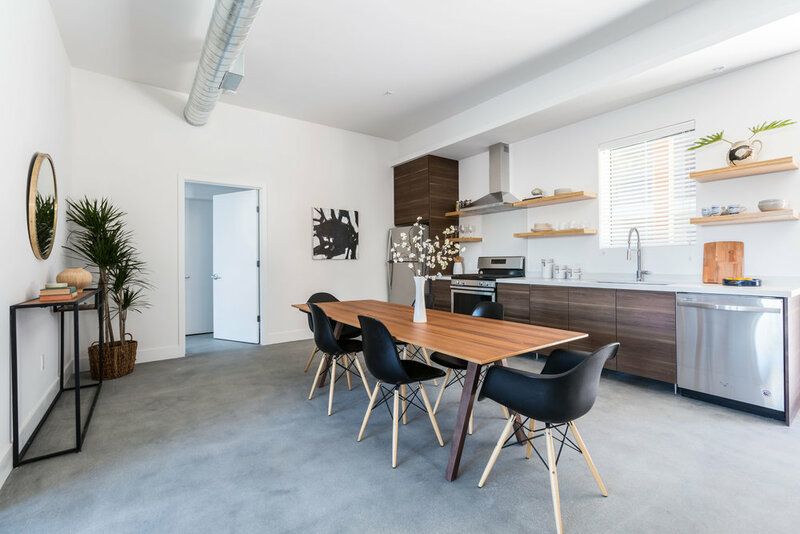 The Bend’s loft style modern industrial live/work units feature wide doors, high ceilings, private outdoor space, polished cement floors and laundry. Each unit is equipped with central heating and air conditioning, energy efficient appliances, LED lighting and quartz countertops, and range in size from 600 to 1360 square feet. Residents of the building will also share access to the communal courtyard and third floor observation deck, covered parking and bicycle parking.